You will enjoy the journey on our luxury air conditioned mini coach with custom seats, seat belts, cell phone charging stations, immense viewing windows and free bottled of ice water. 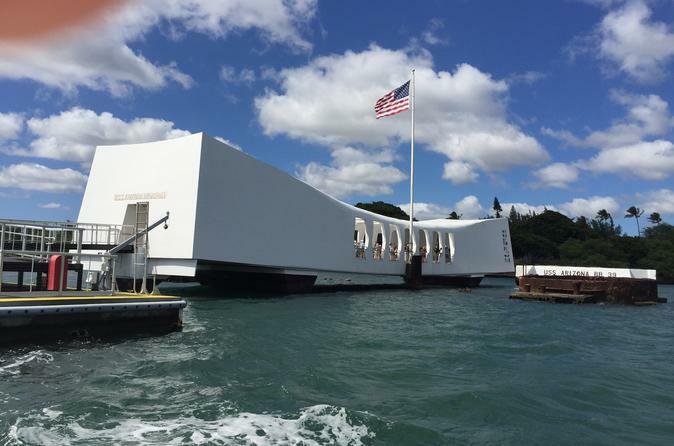 Your USS Arizona Memorial ticket is included and you do not need to stay in a long line early morning. There is 2 different pick up time that you can choose from: 6:45 AM and 9:45 AM. Length of the tour from pick up time to drop of time is about 5:00 hours and depend to the local traffic and other facts can be shorter or longer.